Bolstered by support from liberal Democrats, Bernie Sanders tops Hillary Clinton in primary voters' preference in both the Iowa caucuses and New Hampshire primary, while Clinton holds a lead in South Carolina. 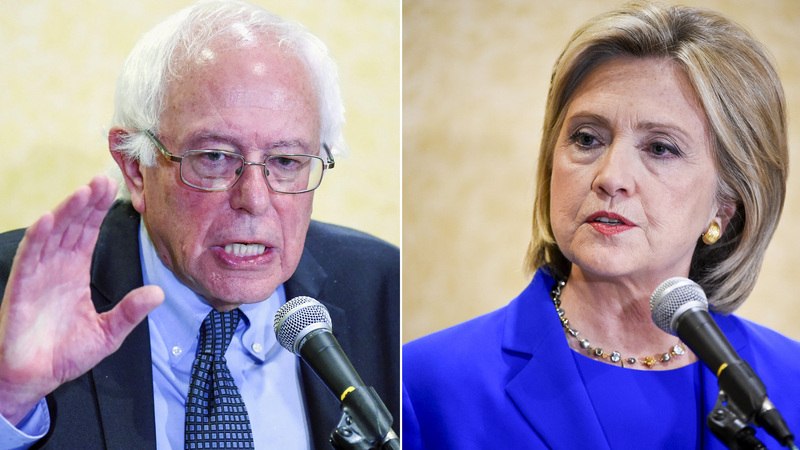 One major difference right now is enthusiasm: Sanders is generating it and Clinton is not. Seventy-eight percent of Sanders voters in New Hampshire, and 63 percent of his voters in Iowa, say they enthusiastically support him, while just 39 percent of Clinton's backers in New Hampshire and 49 percent in Iowa say they enthusiastically support her. For Democrats, it's not about the email. Most Democratic voters (about seven in 10) in these three early states say that it doesn't matter much to them that Clinton used a private email server. Nor is the email issue much of a factor among Sanders supporters. A majority of them say it doesn't matter to them, either. But the inequality issue looks like a big factor, too. Sanders, who has been drawing large crowds on the campaign trail talking about it, is finding the message resonates among Democrats. Even though many Democrats think both Clinton and Sanders would look out for the middle class, voters in New Hampshire and Iowa are relatively more likely to believe Clinton will enact policies favoring the wealthy. A quarter say so in each of those states, while very few think this is true of Sanders. More Democrats say Sanders' policies would favor the poor than say that about Clinton. Among Sanders supporters in New Hampshire, almost half think the policies of a Clinton administration would benefit the rich. Thirty-seven percent of Sanders' backers in Iowa agree. In all three states, Sanders get particularly strong support from independents who say they will vote in a Democratic primary; in independent-rich New Hampshire, he receives support from 70 percent of them. And in Iowa and New Hampshire, Sanders has large leads over Clinton among voters under 30. But Clinton runs better among the party loyalists. Among voters who say they are Democrats, Sanders' lead is much smaller in Iowa and New Hampshire, and Clinton wins this group in South Carolina. Sanders bests Clinton among both men and women in Iowa and New Hampshire, although the gap is narrower among women. Women helped put Clinton over the top in her New Hampshire primary victory in 2008. In South Carolina, where Clinton is ahead of Sanders, she leads among black voters (who made up more than half of the electorate in 2008), men, women and voters of all age groups. Link to full poll results here. The CBS News 2016 Battleground Tracker is based on interviews conducted on the internet between September 3 and 10 with 4,860 registered voters in Iowa, New Hampshire, and South Carolina. The poll was conducted by YouGov, an online polling organization. The "margin of error" is an approximate 95 percent confidence interval for the sampling proportion. Respondents were selected for participation from available panel members to be representative of registered voters from each state in terms of age, race, and gender. A propensity score (based upon a case-control logistic regression including age, race, gender, education, born-again status, and party registration) was estimated for each respondent and responding panelists were post-stratified upon propensity score deciles. A score for likelihood of voting was computed for each respondent based upon past turnout and self-reported likelihood of voting in the presidential primary. Respondents were selected from YouGov's and two other online panels and YouGov also randomly selected persons from voter registration lists who had previously voted in primary elections and contacted them by phone. A total of 19,047 registered voters were contacted by phone and the YouGov sample includes 1,163 phone recruits. A complete description of the methodology is in the link below. The document below describes the poll's methodology and margin of error in detail.